Casa de Campo, La Romana, Dominican Republic – In an event characterized by awesome blue marlin fishing it was the team aboard Florida Keys based 74’ Viking, Auspicious, that held on at the end to take top honors in this year’s prestigious Casa de Campo Blue Marlin Classic with a total of nine blue marlin releases. 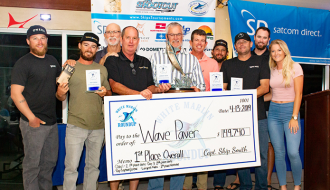 It was at this highly contested March 31st to April 3rd event with a tournament fleet of twenty one boats representing 5 countries where an impressive total of 85 blue marlin were released in three days of fishing. 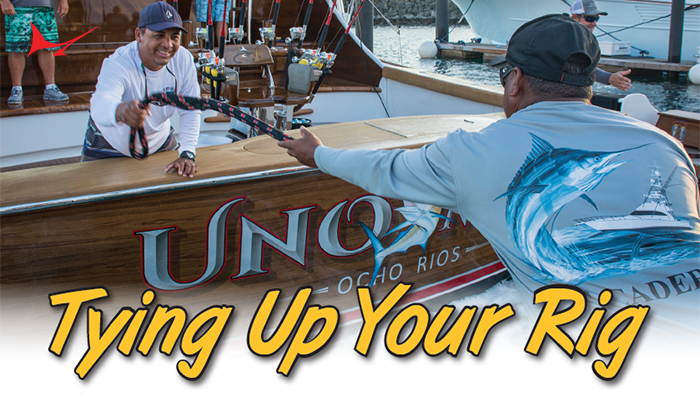 All participating boats registered blue marlin releases resulting in a very respectable average of a little over four blues per boat. Auspicious took the lead on day one taking home the daily by releasing their fourth blue at the end of the day and they held on until the last day despite serious challenges by South Carolina’s Reel Passion who caught up with them on the last day unable to catch one more blue and was therefore edged out on time thus finishing second. 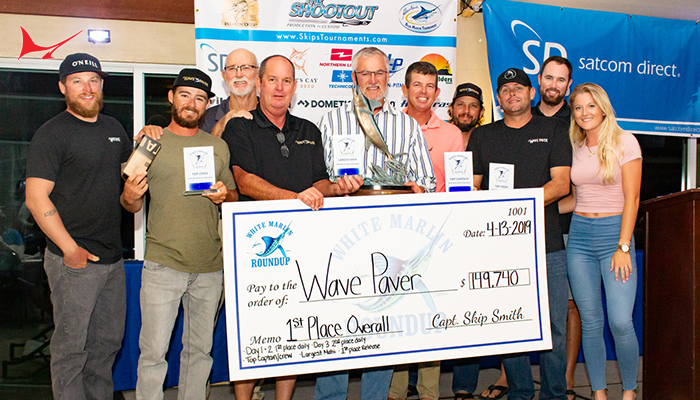 “The final hour of the last day was nerve wracking as we had only released one blue in the early morning while Reel Passion caught up to us at around 3:00PM but we held on” commented a smiling Captain Danny Lombardo. 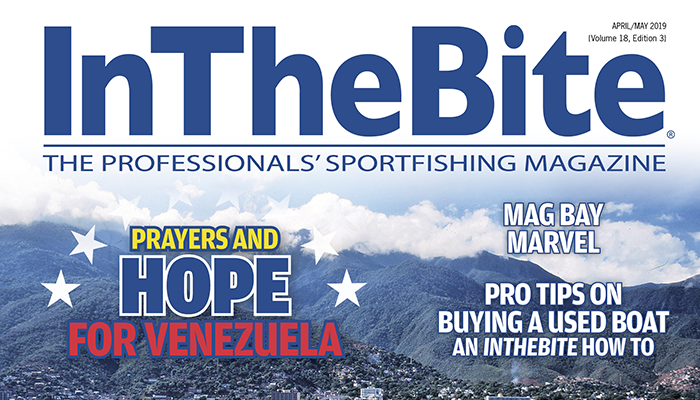 “Danny did some very fine work for us” added anglers Brendan Burke and Joseph Rahman in a two-part-harmony chorus of praise for their captain. Third place with seven blue marlin releases belonged to Virginia Beaches’ Waterman. 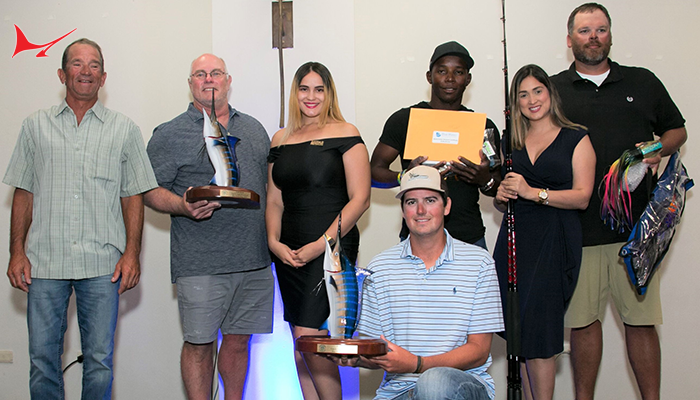 In the individual angler category Top Angler was Waterman’s Kevin Paul with six blue marlin releases, and Auspicious’ Joseph Rahman and Mathew Bierley taking second and third place High Point Angler honors with five and four blue marlin respectively. 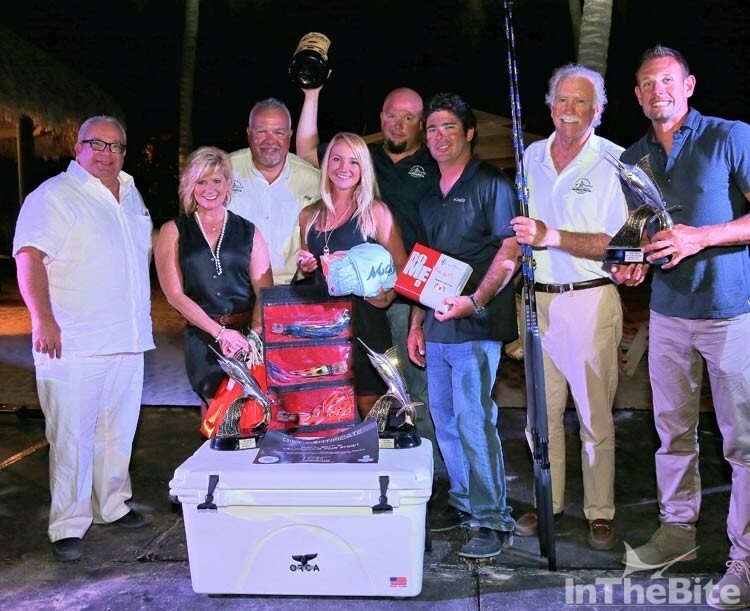 During the event thanks to the fabulous hospitality by hosts Casa de Campo and Marina Casa de Campo, participants were treated to Happy Hours at the docks hosted by IBC Shipyard and Fogo do Brasil Restaurant after fishing during which the traditional tall fish tales were traded, plus fabulous entertainment during the evenings such as the By The Sea Party courtesy of Matusalem Rum, the now infamous and grueling Donkey Polo Match with delicious Emilio’s hot dogs by Productos Chef on the lay day and during the Awards Banquet an energetic and colorful ‘Perico Ripiao’ show by the Ministry of Tourism’s Folklore Ballet troupe. 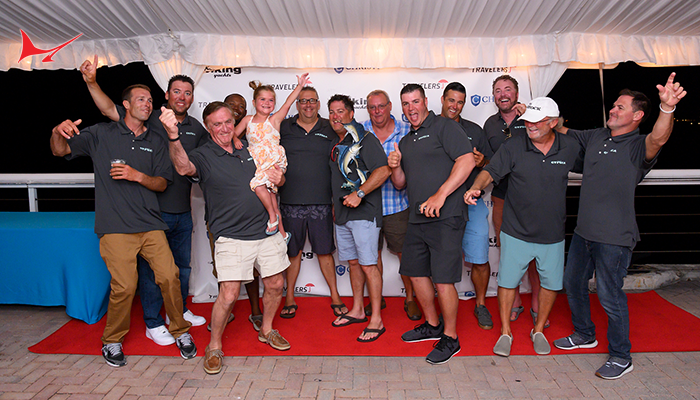 Last but not least, the Blue Marlin Classic was the first leg of the Dominican Billfish Triple-Header tournament series and Auspicious holds a comfortable lead over the other six boats participating in the series. 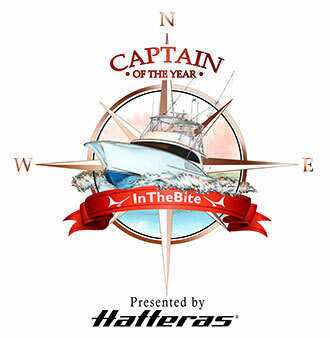 Next leg is scheduled for June 21st to 26th at the Cap Cana Shootout. 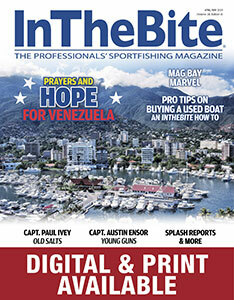 Next year’s dates for the Blue Marlin Classic are tentatively set March 21st thru the 25th. Please Save the Dates.